Please see the sections below for information about sending your child to our school. We would love you to visit and see our school in session - we're proud of our children and the education which we provide for them. Please read our Vision and Values and view information about our curriculum. Parents who would like to send their child to our school nursery should contact us directly on 01773 742537 for details of nursery admissions. For admission to nursery there are three intakes - September, January and Easter. Nursery children start with us in the intake after their 3rd birthday. Our school offers five sessions, Monday to Friday, and these are morning and afternoon sessions. The morning times are 8.30 a.m to 11.30 a.m and the afternoon times are 12.30 p.m to 15.30 p.m.
We also offer eligible parents an additional 15 extended hours free. To take advantage of the full additional 15 hours, our nursery is extended until 15.30 p.m. for those parents who are eligible. You can register your child with us at any time and we will add them to our waiting list. We have a meeting with parents in the term before their child is due to start nursery. This covers all the starting arrangements and gives parents an insight into the curriculum and an opportunity to meet the Early Years Foundation Stage staff. Parents of children who are due to start main school in September have to apply to Derbyshire County Council for a school place. Please click here for more information regarding school admission arrangements. Your current childcare provider should give you relevant information on the application process and when it opens. We have a meeting for parents in the term before their child is due to start Reception. The meeting covers all the starting arrangements and gives parents an insight into the curriculum. It also provides an opportunity to meet the Early Years Foundation Stage staff, and other parents and children. Parents of children who are due to start at a junior school in September (Year 3) have to apply to Derbyshire County Council for a school place. Please click here for more information regarding school admission arrangements. For any in-year transfers, or if you have any questions, please feel free to contact school on 01773 742537. 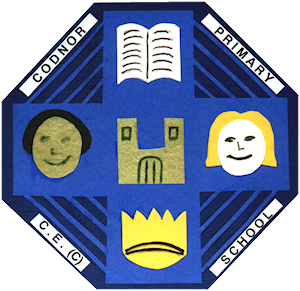 Arrangements to visit our school are very welcome - please do contact us if you would like to have a look around. Derbyshire County Council School admissions page at Derbyshire County Council.